You can use scapes just like you would garlic; their flavor is milder, so you get the nice garlic taste without some of the bite. Use on top of pizza, in pasta, in salsas, and as a replacement for garlic in most other recipes. There are many things you can do with scapes, but my personal preference is to turn them into garlic scape pesto. It’s a sharper, greener take on traditional basil pesto that can be used to add a fresh garlicky zing to just about anything – Spoon it into soups, spread it on sandwiches, toss with cooked pasta, beat it into scrambled eggs, and (best of all) slather it onto pizza dough before adding on the toppings. It freezes beautifully, too, so it’s easy to make an extra-large batch to tide you over until next spring. Although you’ll quite likely find yourself eating them straight from the bag that they traveled to your home from, you should also try serving cherries with dinner over ice. The ice slowly melt into the bottom of the bowl, dragging some of the buoyed little fruits with them. Those ones are the best – completely cold and crisp throughout, melting away the summer heat from the inside. Amounts per 1 cup, with pits (138g): Cherries are fat-, cholesterol- and sodium-free. A good source of Dietary Fiber (2.9 g / 12% DV) and Vitamin C (9.7 mg. / 16% DV). Also a source of Potassium (306 mg / 9%), Omega 3 amino acids (35.9 mg) Omega 6 amino acids (37.3 mg). Wondering what to do with garlic scapes? Puree them into a quick and creamy, garlicky bean and garlic scape dip! Great as a healthy snack or for a party! Bring a large pot of water to a boil and set out a bowl of ice water. Add the garlic scapes to the pot and boil for 30 seconds. Drain and plunge the scapes into the ice water. This makes the scapes tender without overcooking them, bringing out their tender flavor. Roughly chop most of the scapes and finely chop a few for topping the dip (set aside for topping along with a sprig or two of parsley). Add the roughly chopped garlic scapes, white beans, olive oil, water, and parsley to a food processor (or blender) and process until smooth. Add more water if it’s too thick. Taste the dip and add salt and pepper to taste. Serve topped with a few finely chopped garlic scapes, chopped parsley, and a drizzle of extra virgin olive oil. Thank you for all the kind comments and outpouring of care expressed over the last few weeks. The gift of movement is much more appreciated by this farmer than ever before. Essentially, I can walk pain free, but can’t kneel or climb stairs, and while I am waiting for the MRI results, I have adapted to farming with limited mobility. Once I understand the problem better, I will make the best choice going forward. Initially, when my knee locked up, I went into full rest mode hoping that it would heal quickly. After a few weeks of therapy, icing and rest with very little progress, I pursued an MRI. As I was resting and learning to drive an office chair 🙂, I realized that I was able to get around better with the limited mobility. So that is what I am doing. If you check out our Instagram or Facebook page, you are probably aware that the farming portion of our business is about to explode. We have been primarily harvesting Lettuce, but now we are going to be adding Sugar Snap peas, Chards, and Bok Choy. Beans, Raspberries, and Blackberries are close also. This is the absolute best time to be a farmer and the absolute worst time to be LAME! But here I am. The hardest part for me is actually thinking in advance. There is so much that has to be done now and a lot of it gets decided the day of. Decisions like: Do we save the Kohlrabi from being swallowed by weeds or do we trellis the peas? What time should we transplant the next round of cabbages and cukes—this evening or tomorrow? Or remember that we need to direct seed the 4th planting of beans so that we will have something to harvest in August. Don’t forget to pay attention to the Garlic. It is getting close and it is beautiful. All these things are coursing through my mind as I WALK the fields wishing I could just jump right in and do SOMETHING! But I do have a new farm crew and they are quick learners. They can discern between pig weed and chard and thornless blackberries and blackberries with thorns. These are important skills. I am learning how to manage and be less of a doer. It is not an easy transition, because I love to farm, but, it is a necessary transition as I get older. It is comforting to know that it takes four teenagers to REPLACE me (SMILE). Not really. We are getting way more work done than I could by myself. I am also comforted that for the two weeks I was less active, Klesick’s kept humming along. Our team, every one of them, is incredibly talented! This has made my ultimate goal of serving you by delivering organically grown farm fresh produce that moves the needle on your personal health uninterrupted. Artichokes can be steamed, boiled, baked or grilled. To bake, cut about an inch off the top and stem of the artichoke. Then cut it in half and remove the fuzzy part in the center with a spoon. Rub the cut side with a half a lemon, squeezing some juice into the fold and the middle. Drizzle with olive oil, sprinkle with salt, pepper and freshly minced garlic. Bake on a cookie sheet for about 25 minutes at 425°. Melted butter or mayonnaise mixed with a little balsamic vinegar is commonly used for a dip but you can be creative and use whatever your taste buds desire! According to the U.S. Department of Agriculture, a medium-sized artichoke provides about 60 calories and just over 10 grams of fiber, or 41 percent of the recommended daily value. Artichokes are highest in insoluble fiber, the type that stimulates digestion and contributes to bowel regularity. They also contain a significant amount of soluble fiber, which promotes healthy cholesterol levels and helps control blood sugar levels. Amounts per 1 artichoke, medium (120g): low in Saturated Fat (0% DV) and Cholesterol (0% DV). Also a good source of Niacin (1.3 mg/7% DV), Magnesium (50.4 mg/13% DV), Phosphorus (97.6 mg/9% DV), Potassium (343 mg/10% DV) and Copper (0.2 mg/8% DV), and a very good source of Dietary Fiber (10.3 g/41% DV), Vitamin C (8.9 mg/15% DV), Vitamin K (17.8 mcg/22% DV), Folate (107 mcg/27% DV) and Manganese (0.3 mg./13% DV). —Source: nutritiondata.self.com. Radishes are a just a great vegetable to have around. Packed with nutrients these little red globes make a great addition to your daily eats. Add them as a topping to your salad, tacos, or as a side to Asian or Mexican cuisine! I recently started wondering about those fancy shaped radish slices that came with my meal at Thai restaurants. They had a definite vinegar flavor to them and that’s when I discovered pickled radishes! They are great and so simple to make! Just let your radishes (thinly sliced) soak in about 2 cups of red or white vinegar with a teaspoon of sugar and salt. You can also add onions or garlic cloves, peppercorns and chilies for even more flavor. You can let this sit in the fridge overnight or for a whole month if you want. If you’re not a fan of raw radishes (or even if you are), try one of the alternative recipes below. A bright, simple sauce that dresses up baby artichokes while letting their delicate texture shine through. Makes 4 servings. Trim the artichokes to remove any prickly outside leaves with a pair of scissors. Bring an inch of water to boil over high heat in a pot fit with a steamer insert. Put the artichokes in the steamer basket, sprinkle with kosher salt, cover tightly, and steam until just tender, about 5 to 6 minutes. The artichokes should be neither crisp nor soft, but exactly in between. While the artichokes steam, melt the butter in a small (1-quart) saucepan over medium heat. Cook the butter, whisking constantly, just until the milk solids turn a nutty brown color, 3 to 5 minutes. As soon as the butter is brown, take the pan off the heat and carefully pour in the lemon juice. Swirl to combine. Season with 1/4 tsp. salt and 1/8 tsp. pepper, or to taste. Drizzle the sauce over the steamed artichokes and sprinkle with the chives. As Luck Would Have It???? This year we have committed to growing even more food on our farm than we have in the past, which precipitated a need for more help to handle the additional weeding, harvesting, more weeding etc. Like most years, I have a big appetite for planting and while I do plan, the amount of work is often deemphasized while planning. As is often the case, the work is always considerably more. This year we were fortunate to have a gaggle of teenage boys apply and I hired them. Strong young men who would like to earn some money. The challenge is that they were still in school and could only really work on Saturdays. This all changes this week and none too soon, because the weeds are coming with all the rain we got last week and the sun we got after that! Normally, our family and a helper try to handle most of the farming chores, but this year I decided to add some help with the increased farming we added. And it was a good thing. With the wet April and the warm May, we were forced to pack a lot of farming into a fairly small weather window. This means that there is a ton of good work for those young men and our family. Even more providential is that about two weeks ago I twisted my knee and have been unable to farm. I went from 12,000 steps a day to 100 steps overnight and have been limping along ever since. Oh, I miss farming, but having hired those young men plus John, our full-time farm hand, things have been trucking along. I have moved more towards managing the farm and doing less “farming”. Even though I am a lame farmer for the foreseeable future, I am a “thankful” lame farmer and have been able to focus on some other important things like spending time with my children and grandchildren. As you might imagine during this season, I would rarely stop moving from sun up to sun down. But, this year I have been practicing how to SIT! My mom will attest that I came out of the womb and never stopped moving. So, this has been a big change for me. I have had a chance to test a hypothesis though. I have often thought that weight loss has more to do with what a person eats than exercise. I believe in exercise, but now that I am a “lame” farmer, I got to test this hypothesis out. I know that a lot of people who tend to live a more sedentary lifestyle tend to gain weight (eek!). I am happy to report that I actually lost a little weight over the last three weeks, even though my physical activity has been sharply curtailed. I didn’t eat less or differently, just continued to eat a diet rich in plants. I am looking forward to getting back to farming, but as “luck” would have it, I have a great farm crew that has stepped up! Preheat oven to 450°F. Spray rimmed baking sheet with nonstick spray. Cut fennel bulbs lengthwise in half and then in half lengthwise again (you want them to be approx. ½ inch wide wedges, and leave some core attached to hold them together). Combine fennel and shallots or onions in large bowl. Add 3 tablespoons oil; toss to coat. Arrange veggies in single layer on prepared sheet. Sprinkle generously with salt and pepper. Roast until tender and golden, stirring every 10 minutes, about 35 minutes. Cook green beans in large saucepan of boiling salted water until al dente, about 3 minutes. Drain. Rinse with cold water and drain again (this stops the cooking, so they stay crisp-tender). Pat dry. Heat remaining 2 tablespoons oil in large skillet over medium-high heat. Add roasted vegetables and beans; toss until heated through, about 3 minutes. Season with salt and pepper, top with a dash of the fennel fronds, minced first. Transfer to bowl and serve. “Stonefruit” refers to members of the genus Prunus, which includes peaches, nectarines, plums, pluots, cherries, and apricots. The season for summer stonefruit is short-lived, and delicious! With the fruit coming and going so quickly, we don’t want you to miss out by having to toss spoiled or improperly ripened fruit. Here’s some tips for proper storage so you can make the most of these short-season gems. Care: Store unwashed fruit at room temperature until ripe (usually only 1-2 days), then place in sealed container in the fridge. Ripeness: Gently press around stem and when flesh gives slightly to pressure fruit is ripe. Stonefruit ripens from the inside to the outside, so if fruit is soft all over it is more likely overripe. 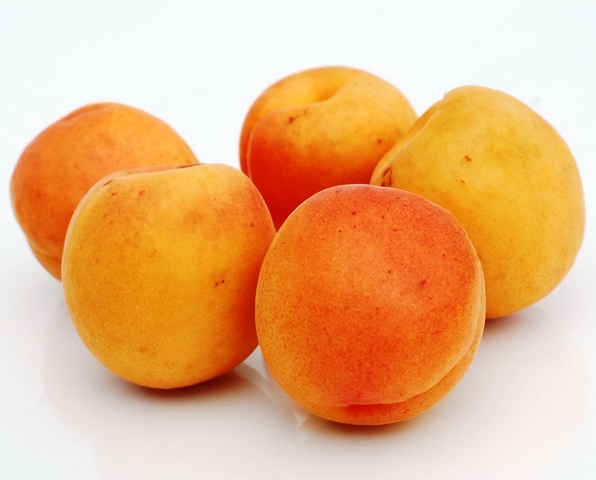 Tips for Preventing Spoilage: Stonefruit’s biggest enemy while ripening is moisture coupled with lack of airflow. Set ripening stonefruit on a cloth or paper-covered countertop or in a place where it gets plenty of airflow. Try setting them stem side down to ripen. This lessens the chance of then rolling and bruising. Once your stonefruit is ripe, it deteriorates very quickly. Within a day of being fully ripe, if left out of refrigeration, you can have overripe/spoiled fruit and some very attracted fruit flies. Check daily and place in refrigerator as soon as you notice the stem area has begun to soften. Take special care when handling your stonefruit—never squeeze to check for ripeness! Even a small bruise will be cause enough to turn into a rot/bruised spot on your fruit as it is still ripening. Check for ripeness by gently pressing around the stem area. It should yield to light pressure. Use: Once fruit is ripe, and you’ve placed in the refrigerator, plan to use within a day or two (this gives you a total keeping time of about 4-5 days). Stonefruit is refreshing as a healthy breakfast paired with yogurt or hot/cold cereal, as a topping to a green salad, and as an ingredient in fruit salads. For grilling, or for topping green salads: use slightly less ripe fruit, it will hold up better without breaking apart/juicing. Stonefruit also bakes up fabulously into crisps, pies, and sauces! Normally fennel tastes like a cross between celery, cabbage, and licorice. Roasting, however, brings out an entirely new flavor – as if pine nuts decided to join the party. And if you enjoy raw fennel, I recommend roasting some just for the fun of it. To do so, see recipe below. Known for its crunchy texture and mild anise flavor, fennel is best used within 5 days. Keep fennel bulbs wrapped in the fridge to keep out air that will lessen its flavor. Fennel is wonderful braised, roasted, or grilled where its it brings flavor reminiscent of pine nuts to the table, or, sautéed, or used raw in salads, where it is crunchy and sweet. Last week we delved into the benefits of farmland and having farmers to work the land. Having local farmland is a national security issue, a national health issue and national environmental issue. Let’s face it, if we do not control our food supply we will be at the mercy of those countries that do. And food will become more like oil. And our presence in other countries becomes more important as other countries control or supply important commodities that America needs or thinks it needs. But whether it is a real or perceived need, if Americans (corporations) think it is important, there will be a demand to protect and ensure its supply/availability. We are seeing this play out in a real time. Steel and aluminum are front and center. President Trump and this administration is deciding that protecting these industries are important to American security. Manufacturing jobs are good jobs and ironically, good union jobs, too. How did a Republican President of the free trade party take this stance??? We will have to leave this topic for another newsletter or newsletters. Free trade, which is the issue under attack, is like most things; the pendulum swings one way and eventually swings back. We have been allowing Corporations to move jobs from America to other countries for decades, good jobs, but because it would be cheaper to produce somewhere else. Cheaper is an interesting word. Cheaper for the companies and the consumers who buy their products, but there were losers in the mix, too. Whole regions were shuttered and shoved aside and became “welfare” recipients. One could argue that the consumers and corporations won, but consumers also had to pick up the tab for the loss of jobs, retraining, mental and emotional stress, shifting environmental damage to other parts of the world, etc. So much to talk about. This week, president Trump is trying to reestablish and protect American workers and the industries that remain. And other countries who have benefitted from Free Trade and developed industries to compete and supply steel or aluminum are fighting back because they need to protect their good paying jobs and their national security, economies, etc. It is also interesting that Agriculture is going to be the big loser. Farmers are always the first to get tariffs slapped on them, because America mostly exports food and imports everything else. So as this “reset” takes place, it is going to be a rocky road for a while as the world leaders try to figure out how to protect their own interests/corporations/consumers. So, to me, it looks like everyone at the table is looking out for their own interests and no one has the high moral ground. What I do know is that local food comes from local farms and having locally grown fruits and vegetables are vital to the health of every single person, regardless of where they live – America, China, Kenya, France, etc. And I hope that citizens everywhere invest in their health and strengthen their own local food economies. For most of us, voting with our dollars, does have local, national and international outcomes. Thank you for your conscious choice to invest in your health and partner with Klesick Farms to keep local food and local farms viable and a part of our local communities. Broccolini is tender enough to enjoy stems and all. Try tossing chopped broccoli florets with olive oil, salt and seasonings of choice. Bake on a cookie sheet at 450° for about 20 minutes, until edges are crispy, and the stems are tender. For extra flavor, drizzle with lemon juice or top with parmesan cheese. Steaming broccolini, until al-dente is a great non-oil alternative. Broccolini is also great in salad, stir-fry, soup, or raw with your favorite veggie dip. Great raw on salads but absolutely fabulous when sautéed. There really isn’t a better ingredient around that works just as well in a breakfast, lunch or dinner plate. To sauté, heat oil or butter in a skillet on medium high heat. Clean and slice mushrooms in half inch pieces. When oil is hot add them to the pan and cook for about 5 minutes, stirring occasionally. Hearty and filling, this roasted yam and asparagus lentil salad is great on its own or as a side dish. Lentils add some healthy plant based proteins. Makes 6 servings. Toss yams with 3 Tbsp of vegetable oil and place on a tray, in the oven for 40 mins. Assemble dressing ingredients while yams are cooking. Heat some water in a saucepan. When the water is boiling, add the lentils and cook for 10-15mins until soft (they should still have a bite). When done drain the lentils and set aside in a large salad bowl. Snap off the tougher ends of the asparagus and discard. Chop the rest of the asparagus in thirds. 10 to 15 mins before the end of the potatoes cooking time, add the asparagus to the oven tray to roast. When all the vegetables are cooked, add them to the lentils. Toss together with the dressing. Leave everything to cool for 5 mins, then add the chopped spinach leaves and sundried tomatoes. Toss again until everything is well mixed together. Serve warm or at room temperature. Every farm at one time was a family farm. But along the way, farming became more business-like and less farm-like. Don’t get me wrong, farming has a bottom line and to stay in business a farm has to make a profit. What changed though? When did our food become so impersonal? It’s just lettuce, or tomatoes, or? Just lettuce, for example, takes a year in the making. The lettuce seed farmer has to grow the lettuce plant to produce seeds, clean the seeds, and then package the seeds. Then a lettuce farmer has to buy the seeds, fertilize the fields, and plant the lettuce seeds. Then about 6-10 weeks later that farmer gets to harvest the lettuce and sell it to a thankful customer. But because our farming regions are further and further from urban centers, we are losing touch with the farming industry that is essential for life. As a farmer I am in awe that food is so readily available and that we have so much local food available. The Puget Sound/Salish Sea area of Western WA has a robust local farm economy. We are blessed with so many smaller farms, surrounded by larger farms – dairies and berries. The whole system is interwoven and supported by tractor dealers, farm suppliers, veterinarians, food processors, etc. To feed people you need farmers and farmers need land. Thankfully, much of Western Washington farmland is in flood plains—AKA not good places to build houses. These rich alluvial soils that are some of the most productive in the world are right here in our own backyard! This same farmland is a multi-benefit landscape providing many other benefits to our local communities. In addition to local food and food security, local farms store flood water, filter water from the hillsides and cities before it gets to the rivers and estuaries, provide open space and lots of habitat for a host of non-human critters too. But what makes all these direct and indirect benefits of local farmland possible? A willing consumer and a willing farmer that have developed a mutually beneficial and meaningful relationship. For us, local customers are the reason we are farming. Because of you we grow food—organic, non-polluted food—that nourishes you, your family and indirectly benefits the entire local ecosystem. You might say that having local farmland farmed by local families is a win for you, the farmer and the local eco system.